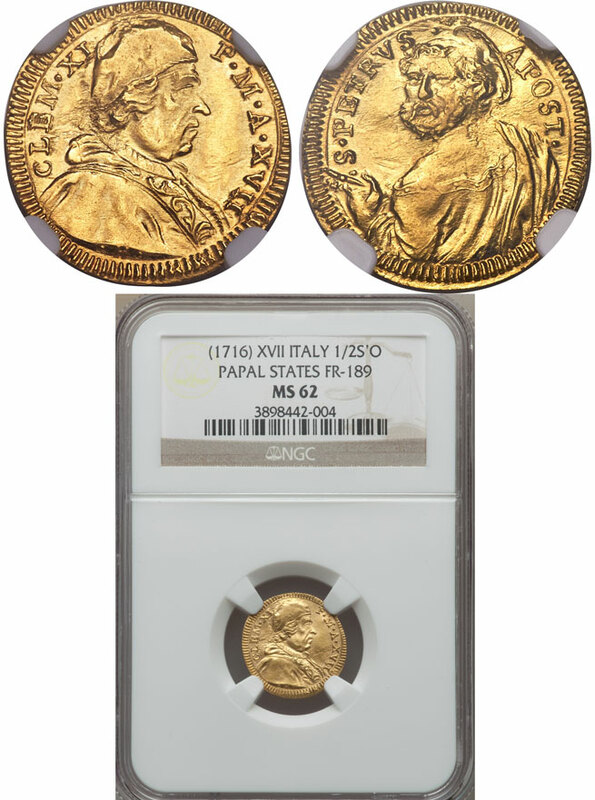 Clement XI (1700-1721) mezzo scudo d'oro, Rome mint. Pope right wearing cap, cassock and stole on the obverse. Reverse features a three quarters effigy of St. Peter. By Ermenegildo Hamerani. Graded NGC Mint State 62.